Retailers today are drowning in data but lacking in insight: They have huge volumes of information at their disposal. But they're unsure of how to sort through it and use it to make smart decisions. The result? They're struggling with profit-sapping supply chain problems including stock-outs, overstock, and discounting. It doesn't have to be that way. 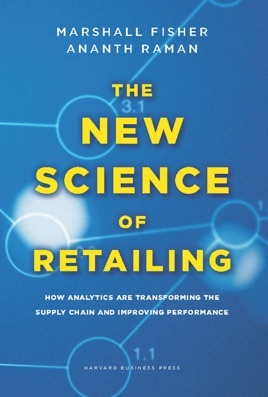 In The New Science of Retailing, supply chain experts Marshall Fisher and Ananth Raman explain how to use analytics to better manage your inventory for faster turns, fewer discounted offerings, and fatter profit margins.